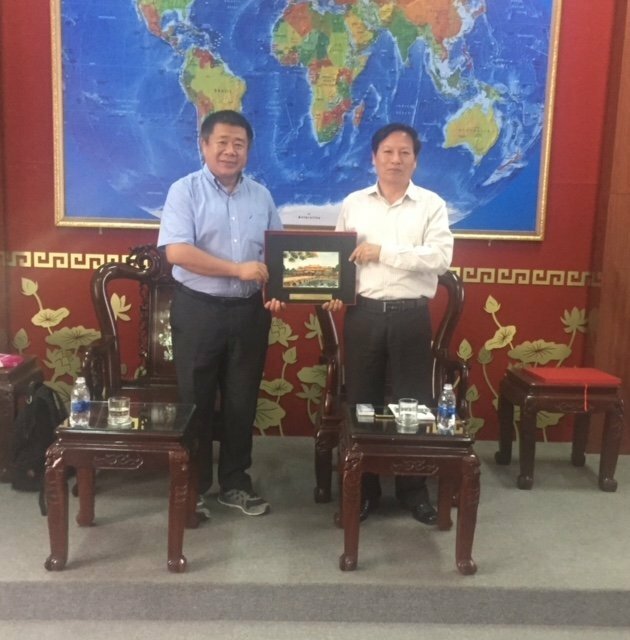 On the morning of August 19, 2018, representative of Guangxi Teachers Education University, China, Prof. Dr. Huang Dou - Director of College of International Culture and Education visited and worked with University of Foreign Languages, Hue University. 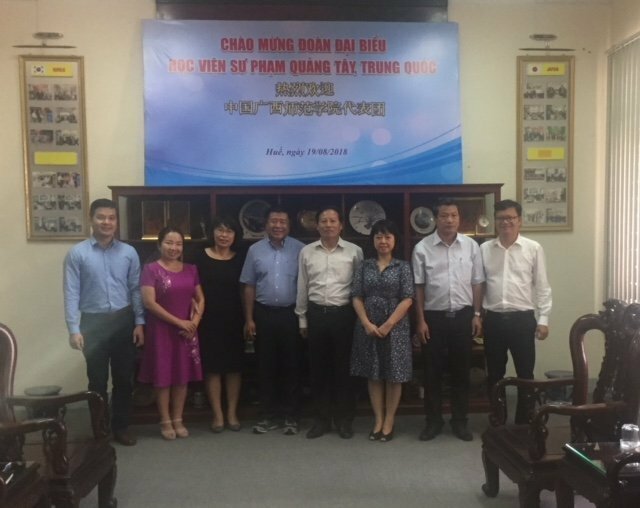 Dr. Nguyen Tinh - Vice Rector of the University, representatives of Office for Science, Technology and International Cooperation, Office for Academic Affair, Chinese Faculty and Vietnamese studies welcomed and received Prof. Dr. Huang Dou. At the meeting, Dr. Nguyen Tinh has reviewed some cooperation activities of the two universities in recent years, the two sides presented a general overview of the two universities and discussed the possibility of signing a Memorandum of Understanding; A preliminary discussion on the implementation of the cooperation items between the two institutions was mentioned at the meeting. Prof. Dr. Huang Dou also introduced scholarships of Chinese government for students’ University of Foreign Languages to study and practice their Chinese language skills.